Who will win the yellow jersey? 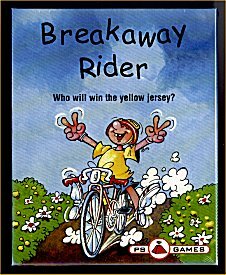 Cycling in a different manner, "Speed", "spurt" and "hill climb" cards shoudl be played in a tactical and clever way to save your strength by rding in the wind shadow. Whoever drives too slow will suffer penalty points. After multiple stages the reace leader will win the game. Guaranteed to provide fun and excitement until the very last minute.